Pay your league fees online! Welcome to the VictorySportsOutreach.org website! 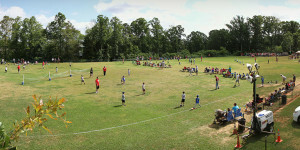 Victory Sports was established in 2004 as a tool to share the Gospel using sports. Participants in Victory Sports learn to share the love of Christ with the “Salvation Colors”. 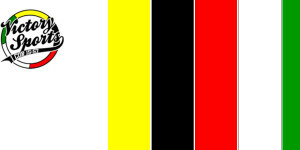 A four year old child stated it best: “Others should accept the RED in the soccer ball so they can receive the WHITE.” During the season, players and coaches receive a wristband with these colors. These bracelets are a tool that we can use to share Jesus. If you would like more information about our programs or have questions regarding the “Salvation Colors”, please email us at vso@comporium.net. We would love to hear from you! Winter Sports Enrollment Now Open! Enroll in our Winter sports programs today! Practices begin the week of January 7th, unless otherwise posted! Spring Sports Enrollment Now Open! But thanks be to God! He gives us the victory through our Lord Jesus Christ.